Congratulations to our league champions and individual award winners. Thank you to all for a great fun season. Hi all I am Breanna (Bre) Mantyka, the new 7v7 General Manager for this summer season. 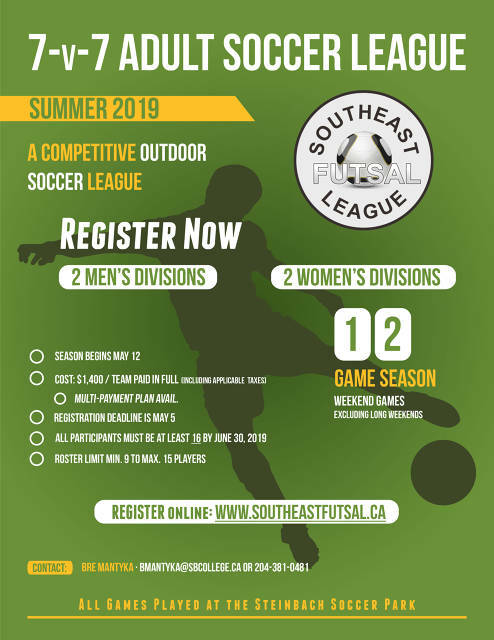 I have enjoyed being a part of the league in the past as a scorekeeper and referee, and am looking forward to being more involved is summer season. I love playing defense in Futsal and mid-field in outdoor. If you have any questions or you are interested in playing please feel free to email me at bmantyka@sbcollege.ca. Congratulations to all the individual award winners for your impressive work on the court this regular season. Note: For the men's divisions, the stats reflect a combination of the first part of the season, before January, and second, January to April.